Good Times At the Aquatic Center! Recreation ID cards are required for proof of residency to get the resident rate and can be purchased at T.J. Davis Recreation Center. Youth under the age of 9 must be accompanied by a responsible adult at least 16 years of age. Res. Non-Res. Res. Non-Res. Res. Non-Res. Aquacise Water Aerobics -This exercise class is designed for swimmers and non-swimmers alike. The focus is on strength building, cardiovascular endurance, flexibility, and having fun. Instructors are trained with United States Water Fitness Association materials. 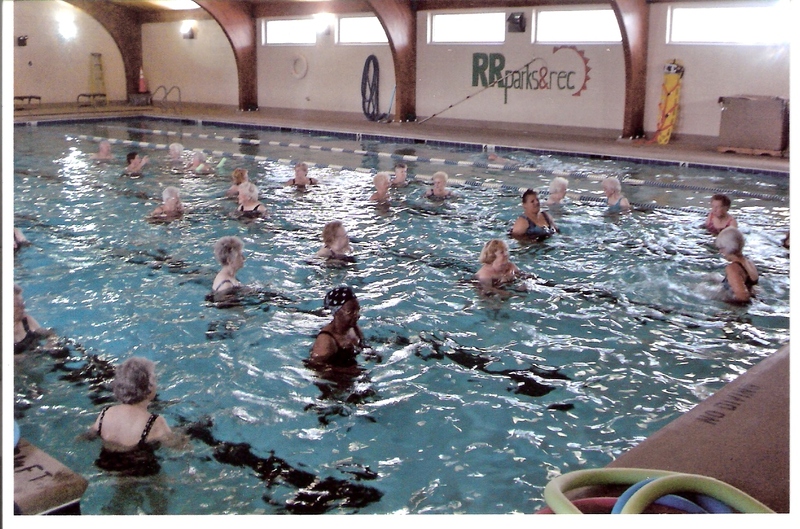 Arthritis Water Aerobics- This exercise class is specially designed to help improve joint flexibility. The exercises may also help to relieve pain and stiffness. Instructors are trained with the National Arthritis Foundation materials. Classes meet: Monday, Wednesday & Friday 10:30 a.m.-11:30 a.m. & 12 p.m.-1 p.m.
Toddler (Ages 2-3) - Resident $28Non-Resident $56 - Parent participation is required. All classes taught on Tuesday & Thursday from 5:30-6 p.m.
All classes taught on Tuesday & Thursday from 6:15-7 p.m.
All classes taught on Tuesday & Thursday from 7:15-8 p.m. 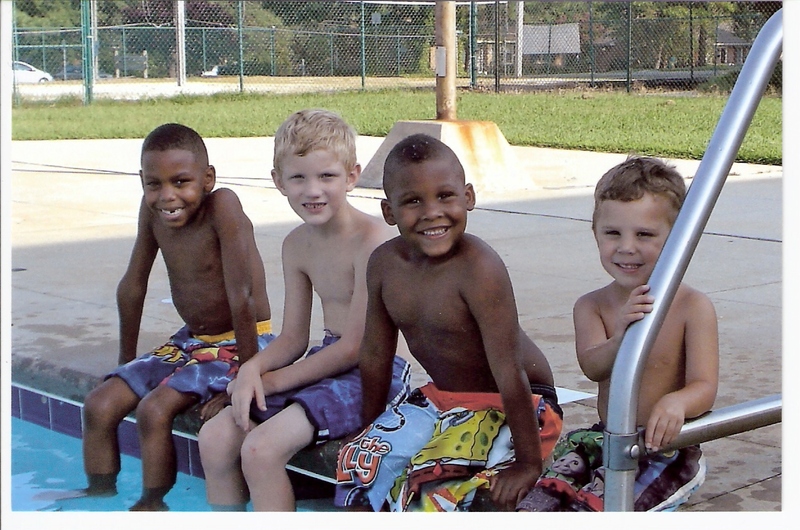 Learn to Swim - Red Cross Lessons offered Year Round! American Red Cross class sizes are limited so please pre-register. Fridays are inclement weather make-up days. Please call 533-2850 for dates and to pre-register. Lessons are not offered for months of November & December due to Holiday schedules. Toddler (Ages 2-3) - Resident $28 Non-Resident $56 - This is a fun program for both the parent and the child. Parent participation is required. June 18-28 M & W 6-6:30 p.m.
July 9-July 19 M & W11-11:30 a.m. & 6-6:30 p.m.
July 30-August 9M & W 11-11:30 a.m. & 6-6:30 p.m.
Preschool (Ages 4-5) - Resident $28 Non-Resident $56 - This program is intended to develop a comfort level in and around water. It will help prepare them for the next level of swimming. June 18-28 T &Th 6-6:30 p.m.
July 9-July 19 T & Th 11-11:30 a.m.& 6-6:30 p.m.
July 30-August 9T &Th 11-11:30 a.m. & 6-6:30 p.m.
Guppy: Level I & II - Residents $42 Non-Resident $84 - This program is designed to teach basic swimming skills for the inexperienced swimmer. The class will teach the fundamentals of swimming and water safety. June 18-28M - Th9-9:45 a.m. & 6:45-7:30 p.m.
July 9-July 19 M -Th 9-9:45 a.m. & 6:45-7:30 p.m.
July 30-August 9M - Th 9-9:45 a.m. & 6:45 p.m.-7:30 p.m.
Minnow: Level III - Residents $42 Non-Resident $84 - This program is designed to refine skills taught in Level I & II. The new skills taught in this class will be the elementary backstroke and the fundamentals of treading water. June 18-28M - Th 10-10:45 a.m. & 7:45-8:30 p.m.
July 9-July 19 M -Th 10-10:45 a.m. & 7:45-8:30 p.m.
July 30-August 9 M - Th10-10:45 a.m. & 7:45-8:30 p.m. Flying Fish: Level IV - Residents $42 Non-Residents $84 - This program is designed to increase endurance and stamina by swimming familiar strokes (Elementary Backstroke, Front Crawl, Back Crawl) for longer distances. New skills to be taught in this class are the Breaststroke, Sidestroke and Flip turns. June 18-28 M-Th10-10:45 a.m. & 7:45-8:30 p.m.
July 9-July 19 M- Th 10-10:45 a.m. & 7:45-8:30 p.m.
July 30-August9M-Th 10-10:45 a.m. & 7:45-8:30 p.m.
Shark: Level V & VI - Residents $42 Non-Residents $84 - These programs are designed to further a swimmer's skills. June 18-28 M - Th 10-10:45 a.m. & 7:45-8:30 p.m.
July 9-July 19 M - Th10-10:45 a.m. & 7:45-8:30 p.m.
July 9-July 19 M - Th 7:45-8:30 p.m.
July 30-August 9 M - Th7:45-8:30 p.m.
Friday Night Swim Bash - Come join a FUN night of swimming under the lights. The pool will be open on June 29th, July 20th & August 10th from 7:30 p.m.-9:#0 p.m. Daily Admission does apply. Need ONE on ONE attention for swimming...check out this PROGRAM!!! Each individual Swim Lessons is taught on Monday and Wednesday for TWO weeks. There are 4 time blocks to choose from: 5:30-6 p.m., 6-6:30 p.m., 6:30-7 p.m., 7-7:30 p.m. Participants must have completed Level 2 Exit Skill assessments to register and are limited to one time block per 2 weeks. Each participant may choose to be taught one of four competitive strokes: Front Crawl, Back Crawl, Breast Stroke, or Butterfly. Classes will be taught indoors July - November. ***Lessons are not covered by Annual Passes*** Please register at the Aquatic Center. 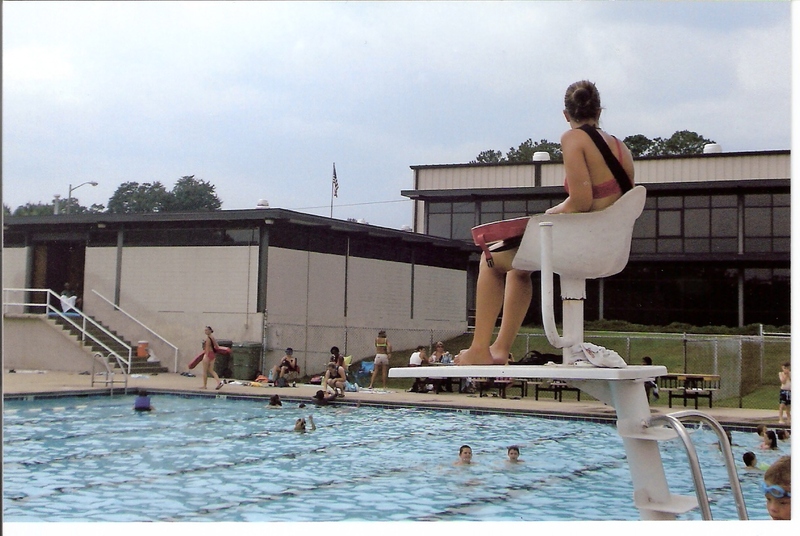 Guard Start - The Aquatic Center will be offering a Guard Start program for ages 12-15 on Saturday, September 15th from 9 a.m.-4 p.m. This program is designed to teach participants the basics of being a lifeguard and to provide a foundation for life skills. Cost of the class will be $10 for City Residents and $20 for Non-Residents. Participants must be able to swim 25 yards Front Crawl. Fall Fitness Challenge - This challenge is designed to promote aquatic exercise 3 days a week for 6 weeks. You have 8 weeks to complete the challenge. Participants may choose to participate in the existing fitness classes or may choose water walking (30 minutes per session) or lap swimming (at least 1 mile per week). All "survivors" will receive a prize. Participants must register with the front desk prior to the beginning of the event. Lap Swimmer of the Month - Throughout the year the Aquatic Center will be recognizing the lap swimmer of the month. Lap Swimmers must report laps to the Aquatic Center staff. Water Walking Program - WATER WALKING IS FUN! Come join this fun and exciting new program at the Aquatic Center. Best thing about it is you won't get your face wet & you don't need to know how to swim. Water Walkers can come in anytime during Lap Swim hours. Daily admission prices do not apply. Birthday Lap Swim Club - SWIM YOUR AGE!! This program recognizes participants, young or old, who would like to swim Laps on a certain day according to you age. You can swim your laps on your birthday or a day close to it. Register at the front desk of the Aquatic Center. 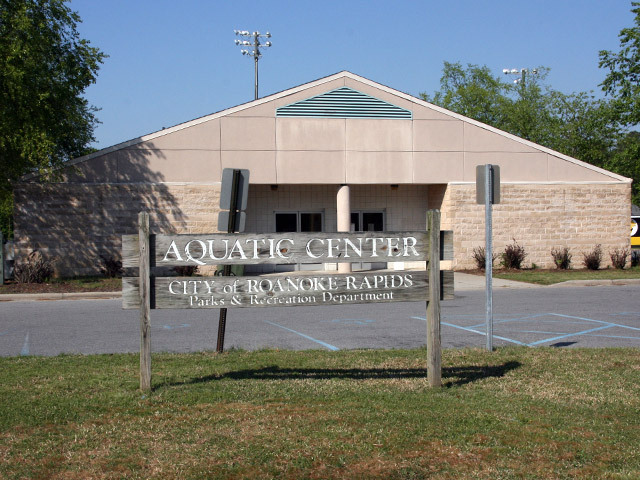 Building Rental - The Aquatic Center is a great place to host a private party. A group use agreement form must be submitted two weeks prior to the date requested. Fees vary according to the size of the group (a minimum of two hours is required). 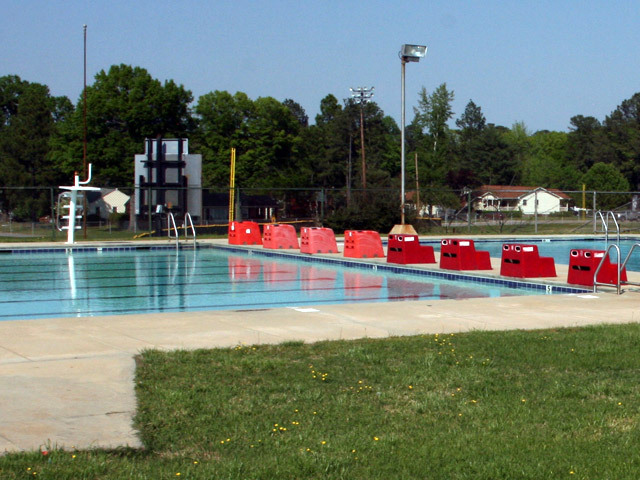 *TJ Outdoor Pool Rentals will require two lifeguards* (26-50 swimmers rate or higher will apply).